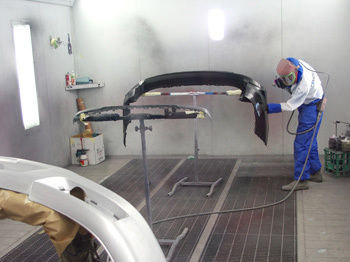 Euro Image Smash Repairs is a modern and progressive smash repair facility who has built a strong reputation for quality workmanship and professional customer service within the Melbourne car smash repair industry. 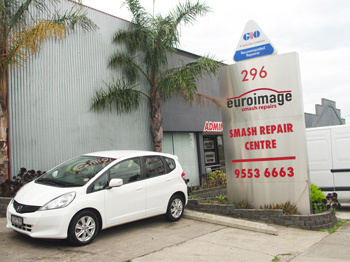 Located in Moorabbin, Melbourne’s south east, Euro Image Smash Repairs has continued its growth within the last 15 years from repairing 12 vehicles per week to currently over 85 vehicles per week. As a growing business in a competitive car smash repair industry, we pride ourselves on providing exceptional customer service, high quality and value for money. 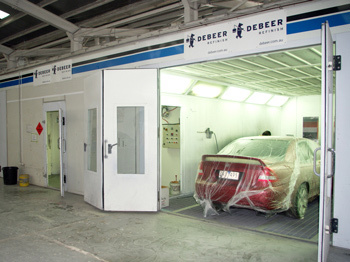 Our professional staff put the customers first and provide a range of services, going beyond just smash repairs. From our humble beginnings of 12 employees, to our current workforce of 65 employees, Euro Image Smash Repairs has continually proven its commitment in providing a quality service to our business partners that is commensurate to their growing needs. Our large warehouse allows us to produce timely results for clients on projects of all sizes and complexities.